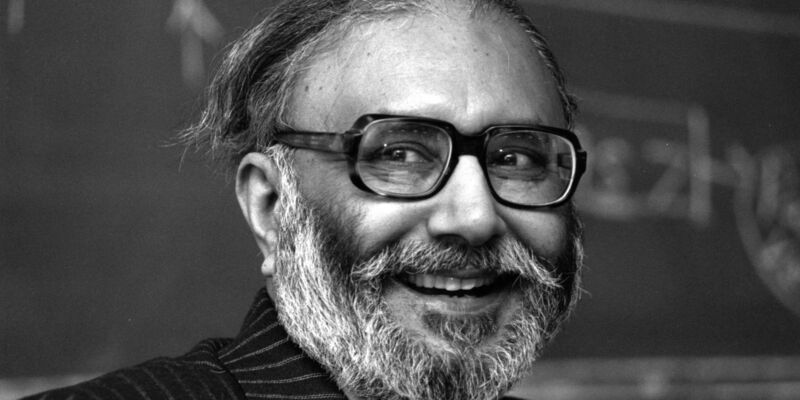 Prime Minister Nawaz Sharif’s move to rename Quaid-i-Azam University’s (QAU) physics department to the Professor Abdus Salam Center for Physics and create a new programme named the Professor Abdus Salam Fellowship must be appreciated as an important step in reversing the historical trend of religious bigotry and intolerance. Even The New York Times has noted the landmark decision. However we must not allow such moves to giving the incorrect impression that the situation for religious minorities is improving, especially the beleaguered Ahmadi community. This was made clear when the day after PM’s declaration, masked gunmen from Counter-Terrorism Department (CTD) violently raided Ahmadiyya headquarters in Rabwa. The CTD officers forced their way in while beating up a guard before manhandling and arresting several innocent people accused of ‘terrorism’ for printing magazines intended for Ahamdis. 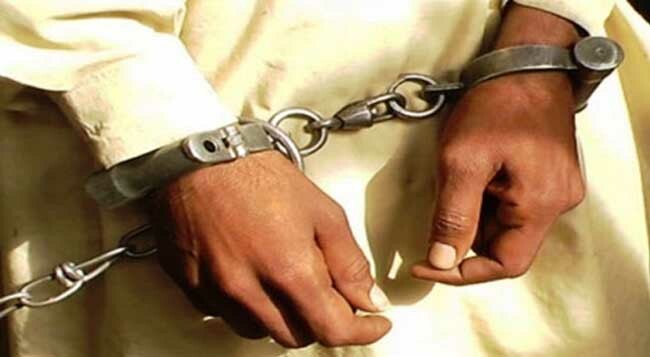 The officers seized materials from the offices as well as abusing the individuals there. It should also be noted that despite incorrect claims from religious extremists, no weapons or hate material are mentioned in the FIR. 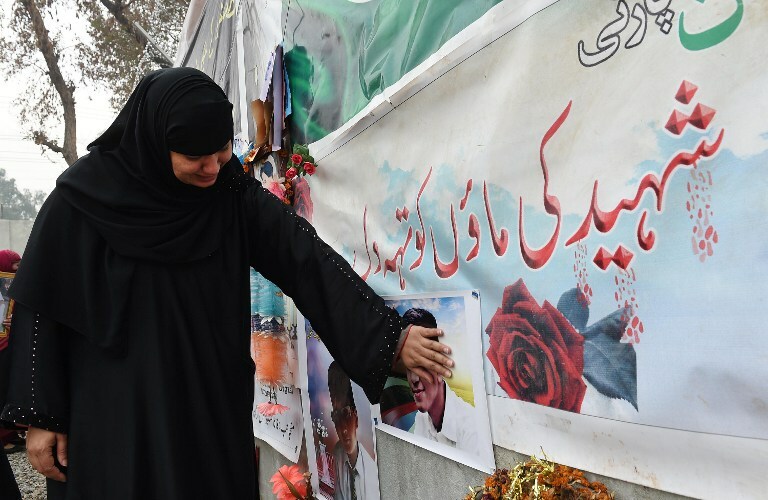 PM’s action is appreciated, but the raid shows just how difficult will be the process of countering powerful extremists like Tahafuz Khatam-e-Nabuwat who are claiming responsibility for causing the raid. When will raids be taken against them? Few things tell as much about a society than the physical space itself. America’s Statue of Liberty, London’s grand palaces, the pyramids of Egypt, the canals of Amsterdam – each of these gives a glimpse into the heart and soul of the society. In Pakistan, too, our architecture tells our story. You cannot know Pakistan without knowing Lahore Fort, Shalimar Bagh, Islamia College, and Mazar-e-Quaid. Architectural landscapes change along with societies, though, and what we are building today is a glimpse into where we are headed tomorrow. In Pakistan, the future we are building is usually discussed in terms of transportation infrastructure. Whether the controversial Orange Line Train in Lahore, or game changer CPEC, we are told stories about development that will usher in a bright future for the country. However, these are not the only projects taking place, and they may not even be the most important ones. 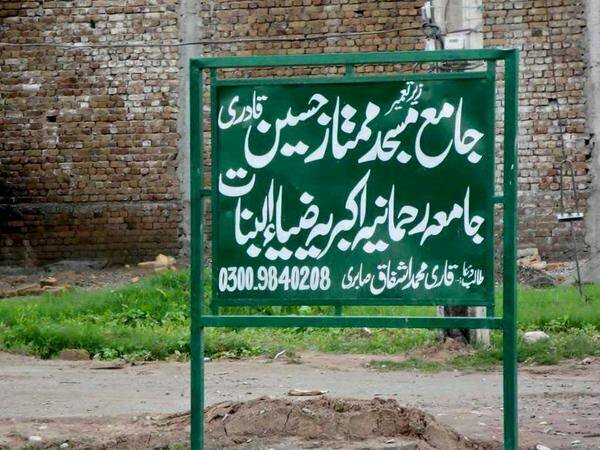 Jamia Hafsa, the infamous Lal Masjid madrasseh whose students swore allegiance to Daesh, has been granted 20 kanals plot in Sector H 11-4 Islamabad for construction of new facilities. Across the capital, Faisal Mosque is getting competition from a newer construction – the mosque built to honour the convicted murderer Mumtaz Qadri. This mosque has proven so popular that it has raised funds to double its size. Religious extremists are not the only ones expanding their space in the country. There has also been an rapid growth of building by DHA, one of the Army’s construction companies. DHA has even spread outside of its usual areas, announcing new developments in Balochistan also. While religious extremists and the military expand their presence across the architectural landscape of the nation, secular political offices are being bulldozed. This is not a defence of Altaf Hussain, but nobody suggested bulldozing PMA Kakul when a COAS was charged with treason. Projects like Orange Line Train and CPEC will make it easier to travel and transport both in major urban areas and across the nation. But it is what is being built for people to travel to that that will define our future.